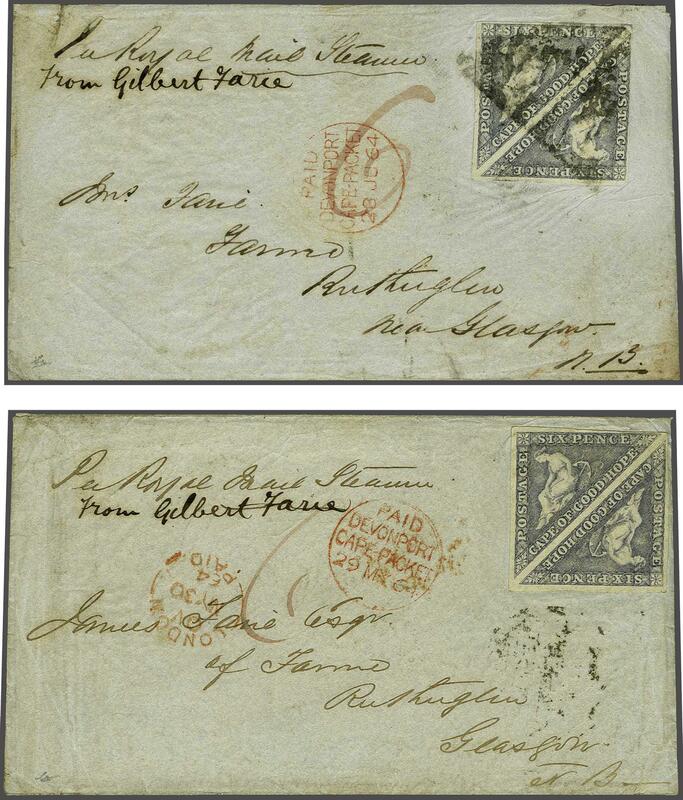 1855/63: 6 d. deep slate-lilac on blued paper, the outstanding pair of 1864 covers from Gilbert Farie in Bloemfontein, Orange Free State to Ruthuglen, Glasgow, each with "6" in red manuscript denoting pre-payment from the Orange Free State, franked by four margin pairs in this scarce shade, the earlier cover carried on the "RMS Briton" franked by an un-cancelled pair with reverse showing 'Cape Town / Cape of Good Hope' circular datestamp in red and Glasgow arrival (May 30) and obverse with PAID / DEVONPORT / CAPE PACKET cds in red (May 29). 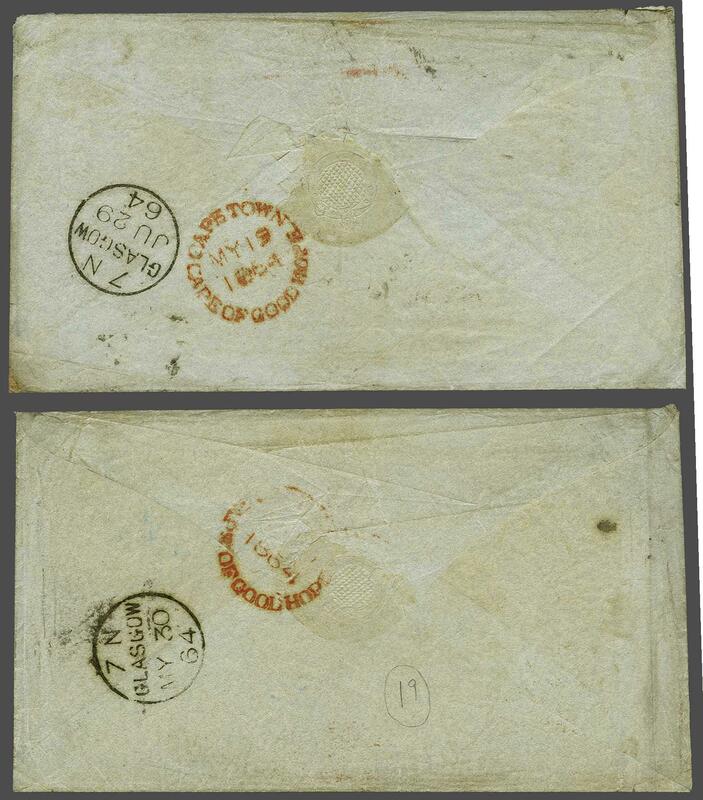 The second cover being identical with "6" in red manuscript denoting pre-payment from the Orange Free State, but carried on the "RMS Cambrian", the adhesives are cancelled by a bold strike of the CGH obliterator in black, with 'Cape Town / Cape of Good Hope' circular datestamp in red (May 19) and PAID / DEVONPORT / CAPE PACKET cds in red (June 28). An excessively rare stamp on letter and a particularly attractive pair of covers: especially so from the Orange Free State.rnrnNote: See attached article from the 'Orange Free State Bulletin' (Dec 1998) enclosed with the lot. Gilbert Farie was the manager of the Standard Bank of South Africa in Bloemfontein.